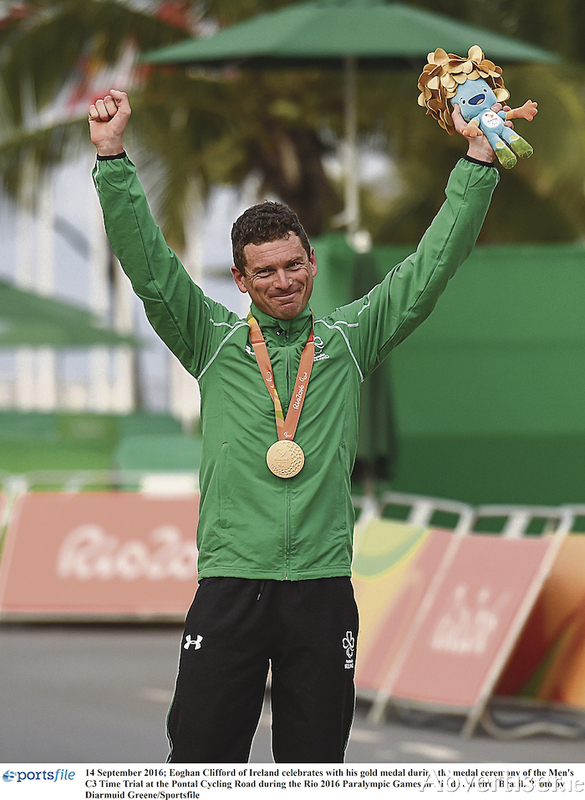 Galway’s Paralympic Champion Eoghan Clifford this week announced his retirement from international cycling. Since his international paracycling debut in 2014, Clifford has been a dominant force in the MC3 category, both on the track and the road. The Galway-based rider has amassed fifteen podium placings at major event, including a Paralympic Title, four World Titles, and six World Cup gold medals. While Clifford has enjoyed a long illustrious cycling career on the domestic scene, it was 2014 when he was elevated to international fame at the Para-cycling Road World Championships in Greenville, becoming a double World Champion on his first major outing. The following three years offered more success for the NUIG researcher. Diagnosed with a degenerative muscle disease called Charcot-Marie-Tooth, cycling has always been a big part of Eoghan Clifford’s life, and will continue to play a major role. “I used to cycle as a kid a lot, and I first started racing when I was 17 or 18. I was involved in other sports like triathlon and rowing, but cycling was the one that I enjoyed most. In 2014 Eoghan Clifford moved into the Paracycling squad, having competed on the domestic scene for many years. The move into this high performance set up under coach Neill Delahaye was an eye opener for the Limerick native. Training as an elite athlete involves massive commitment, which is ultimately at the core of his decision to retire. Cycling Ireland wish Eoghan Clifford the best in his future endeavours and look forward to working with him on his next chapter. Page generated in 0.1953 seconds.